TRUSSVILLE — For three straight years, the percentage of students at Hewitt-Trussville High School meeting the College and Career Readiness Standards has increased. The most recent state data indicates 89 percent of HTHS students meet at least one of the CCRS benchhmarks. The recently released school report cards by the Alabama State Department of Education gave Trussville City Schools the second highest score in Alabama, trailing only Mountain Brook City Schools. 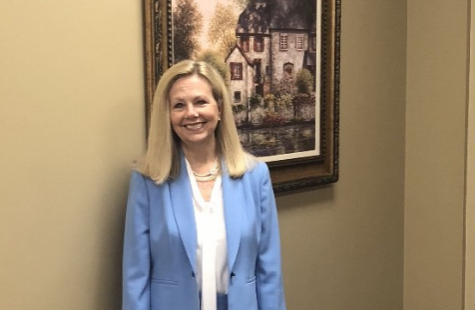 Now, the TCS administrator responsible for student curriculum and professional development for teachers during the growth period has been named tops in Alabama. TCS Assistant Superintendent Beth Bruno named top curriculum administrator in Alabama. Beth Bruno, the assistant superintendent of curriculum and instruction of Trussville City Schools, was recently named the top curriculum administrator in Alabama by the Alabama Association for Supervision & Curriculum Development (AASCD). Bruno took over as the interim assistant superintendent for curriculum and instruction in June 2014. In January of 2015, the TCS board made the move official and Bruno has served as the assistant superintendent since. Dr. Jennifer Cardwell, who works with Bruno overseeing secondary curriculum, said the quality of professional development under Bruno has been key. TCS Superintendent Dr. Patti Neill said Bruno uses a team approach to create procedures that help all TCS administrators and teachers grow professionally, academically and personally. Bruno will be recognized at AASCD’s Summer CLAS Conference and will be honored at the Feb. 19 Trussville Board of Education Meeting.